I am so loving the freemium video-on-demand service from Viu, offering Malaysian viewers access to thousands of hours of free library content. Its premium service is available on a subscription basis and provides an ad-free experience, unlimited downloads for offline viewing, as well as additional premium content for just RM 10 per month. This December, fans in Malaysia can look forward to exciting and highly anticipated Korean drama titles from Monday right through Saturday. Goblin is a quirky romantic drama about Dokkaebi, played by superstar Gong Yoo (currently one of the most recognizable faces due to his lead role in Train To Busan). He plays a goblin who is a protector of souls and lives together with an amnesiac grim reaper who is in charge of taking deceased souls. Together, the two of them see the dead off into the afterlife. The drama will also feature several seasoned Korean artists such as Lee Dong-wook, Kim Go-eun, Yoo In-na and Yook Sung-jae. Goblin will be available on Viu from 2 December onwards, every Friday and Saturday for 16 episodes. Hwarang is dubbed the most awaited KBS television series this year. The story centres on a group of young people who grew up and trained to become elite knights during the era of Silla. The stellar cast consist of Park Seo Joon, Go Ara, Park Hyung Sik, SHINee’s Choi Minho and BTS’s Kim Taehyung. You will be able to enjoy Hwarang starting 19 December 2016 onwards, every Monday and Tuesday for 20 episodes. A romantic comedy about a rich heir who, due to his frustration of not being able to remember his past, spends money to buy anything indifferently. He meets a pure and energetic woman who teaches him that love is not something money can buy. 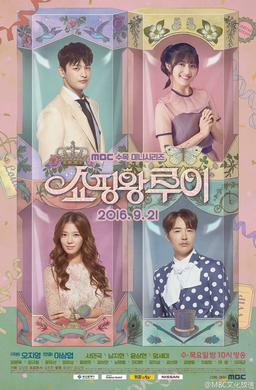 The main cast include Seo In Guk ad Nam Ji Hyun. Catch Shopaholic Louis on Viu from 14 December onwards, every Wednesday and Thursday for 16 episodes. Highlights of ongoing shows, just in case you missed it! 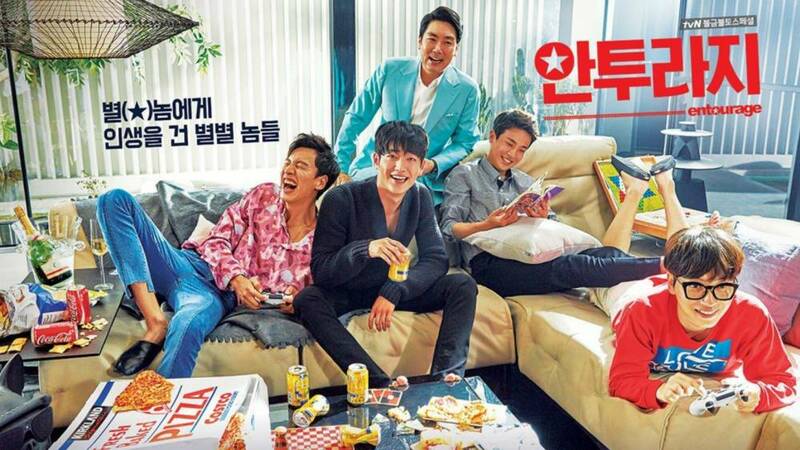 An exciting Korean television series featuring a fun mix of cast – Seo Kang Joon, Lee Kwang Soo, Park Jung Min and Lee Dong Hwi. It is a black comedy drama about life in the entertainment industry, based on the American drama series of the same name. Lee Kwang Soo of Running Man fame plays Cha Young Bin, the hottest star in entertainment. Catch the finale of the 16-episode drama on Viu scheduled for 15 and 16 December. A Japanese drama that stars Mirei Kiritani, Kento Yamazaki, Shohei Miura and Shūhei Nomura. It is a romantic drama of a young pâtissier who has not dated in a long time as she's devoted all of her time and energy to work to realize her dream of opening her own shop someday. Her life is turned upside down as she gets fired and struggles to find another job. An unexpected reunion with her first love from high school, brings her to meet his two younger brothers. Which one will find a way to her heart? It is a Taiwanese drama, based on the first 10 volumes of the Japanese manga series Itazura na Kiss. The drama is a huge success, pining it as the truest and one of the most successful adaptations of the manga. It stars Joe Cheng, Ariel Lin and Jiro Wang of Fahrenheit. A Hindi film starring Salman Khan, Sonam Kapoor and Anupam Kher. It has Salman playing a double role – one, as a King-in-waiting and the other, a carefree stage actor – for the price of one. The movie has become the most watched Bollywood movie on Indian TV in 2016. A Malay drama based on a character names Dewi Yusri who dislikes man but is in search for a temporary husband so that she can have a child. The drama stars Shukri Yahya, Fathia Latiff, Keith Foo, Elizad Sharifuddin and Ziela Jalil. A romantic drama that tells the love story of two individuals, Kirana and Galang and the fate that kept them together. It stars Nia Ramadhani, Randy, Pangalila, Kiki Farrel, Tsania Marwa and Mama Dahlia. Catch all 93 episodes on Viu. Wow Viu has a ton of entertainment on offer. 10RM is so cheap. Thanks for all the viewing tips. Those shows look fun. Ommo~ This web seems great. Is it almost same as iflix or different? 10 Favorite Products You Should Buy From ezbuy! USANA MyShake Nutritional Drink is really good..
Get free check-ups at the vet for your cats!! !